Marks & Spencer never fail to disappoint customers, consistently wowing with stunning dresses of the week, sell-out shoes designed by bloggers, and even exciting sounding prosecco-filled Easter eggs! So it’s no surprise that their winning products have extended into handbags, with one of their most popular styles being re-released in stores and online. 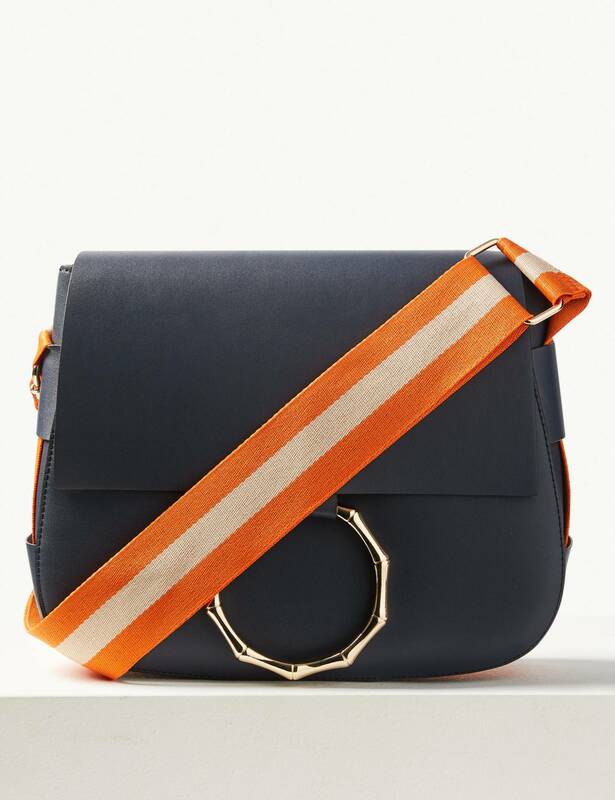 Marks & Spencer took to their Instagram to reveal the news that their Faux Leather Bamboo saddle cross body bag was finally back in stock, after selling out during its first release, with influencers ‘going wild’ over the chic purchase. And it seems that the bag is just as popular now, with only a few of the caramel colour-way version still available online! Cross-body bags are also just as practical as they are stylish. Simply chuck in your belongings, throw it over your shoulder, and get on with your day, hands-free, with no need to worry about constantly pulling it up over your shoulder. 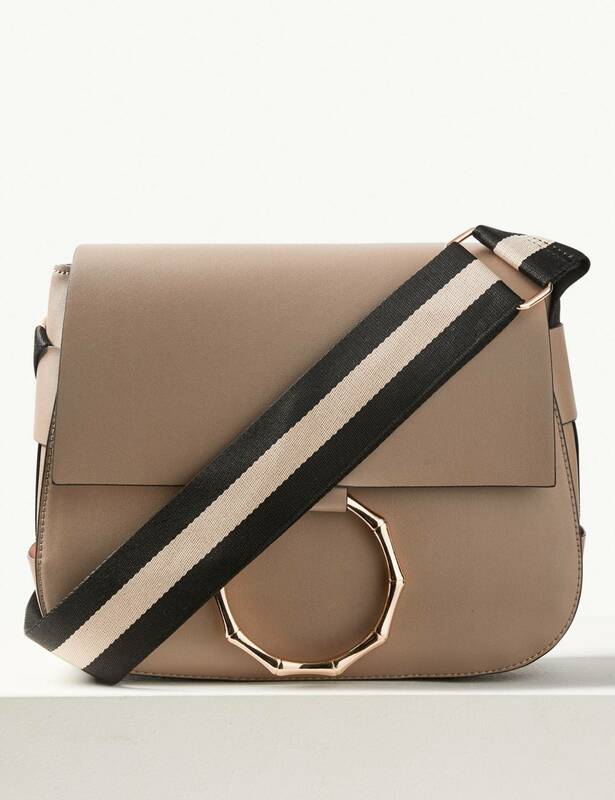 Plus, this M&S one is undoubtedly chic, with a stand-out bamboo textured metallic ring at the front and a pretty, striped strap. It’s also super-secure, coming complete with a magnet fastening and interior zipped pockets to keep your phone, purse and keys safe. However, if you don’t manage to get your hands on the caramel colour bag, never fear. Marks & Spencer have also released a navy version too, complete with a striking orange strip that will ensure you stand out from the crowd. But if you really are sold on the caramel version, there’s also every chance that it may still be available in your local store – so it’s time to get hunting!